The Nifty Thrifty Lady: Got a Snuggie? See a Free Movie! Got a Snuggie? See a Free Movie! Yes that's right all you have to do on January 9, 2014 is wear a flattering snuggie to any movie after 5:30pm at the Leitersburg Cinemas to get in free! 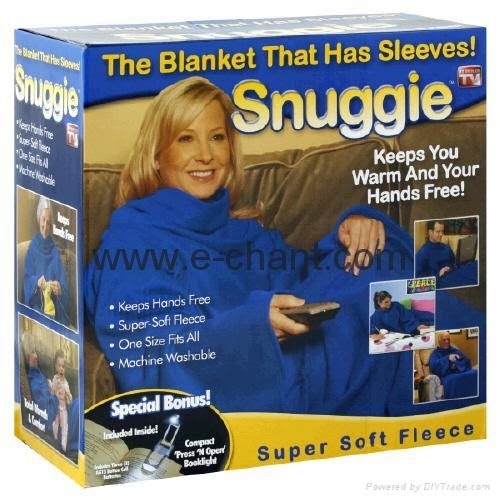 You must be wearing it (or a blanket with sleeves, is there another blanket with sleeves other then the snuggie?!) and you can get into any movie even the VIP showings for fre! If you learn nothing else from me learn this TAKE ADVANTAGE of free thing...even if you have to were a snuggie! Let me know if anyone goes by commenting on this post in Facebook! Do you have the Right Attitude to Spend Wisely?